Since today is Groundhog Day, let’s watch Bill Murray and think about the meaning of life. About two weeks ago, I ran across some blog posts lauding the interview on British Channel 4 of Professor Jordan Peterson, professor of psychology at the University of Toronto. Throughout the entire interview (beginning with the first question), the lady doing the interview was picking at him and developed into a nasty onslaught. Despite it, Professor Peterson was the epitomy of Canadian courteous. I became fascinated with this gentleman. I found his YouTube page and began devouring his lectures. I started on his 2015 lectures on personality. In lecture number 14 of that series, he is discussing the meaning of life and its impact on the choices that people make (1:01 mark). In previous lectures, he questions whether the Existentialists like Dostoyevsky, Kirkegaard, Nietzsche, Sartre, and Camus were right that the meaning of life is to suffer. If life is suffering, the Existentialists thought that the only solution was to live a truthful and moral life, thereby limiting the spread of suffering. Some were atheists, some were Christians (Kirkegaard and Dostoyevky). So Peterson picks up on this idea of suffering as part of the key component of living. Peterson points that a resentful person is mad at the world. He is likely seeking to punish the source of the suffering, the person or group of people. The resentful person in suffering wishes to spread suffering as his revenge. Peterson uses this process of vengence as a strong rationale for good and moral behavior. Peterson suggests that each person makes contact with easily 1000 other people over the course of his life (since this is a scouting blog with a primarily male membership for the next few months, we will stick with “he”). Those 1000 people touch a 1000 people. Those 1000 touch another 1000. If each of these contacts is unique persons, that is over 1 billion people that are only 3 touches away. If we use more conservative mathematics, it is still easy to see that tens of millions of people are only 3 touches away; hundreds of millions are 4 touches away. Peterson suggests that spreading suffering through vengence-seeking behavior has the ability to spread ill feelings and will quickly. It is the effort of the individual to spread friendliness, curtesy, kindness, and cheerfulness that can help break this spread of suffering. How do we teach a scout to spread friendliness, curtesy, kindness, and cheerfulness? What about putting them in the woods in less than ideal weather? What will happen? Inexperienced scouts will be cranky, angry, and difficult. Yet if they go out in these conditions and experience friendship, comraderie, joy, silliness, and adventure, they learn that hard conditions do not necessarily make a hard person. They learn to see the glass as half-full when the rest of the world wants to ignore the glass exists. A couple of years ago, we took our troop to the requisite Pokegon State Park tobogan run. We camped out at the edge of the park. The weather was cold that February, and the wind blew over the snow. The scouts were having so much fun sledding, making snow forts, having snowball fights, cooking in the cold, and all the other aspects of troop campout. They didn’t see the cold as a cause of suffering. The cold created the opportunity to enjoy the snow. Cold created the cheerfulness and joy. Another several campouts all had the same experience. We arrive. The heavens open with a downpour. We spend much of the rest of the campout under shelters playing card games and telling stories. The weather created the chance for patience and mutual interaction. This is where scouting shines through as the best means of developing character and citizenship in our scouts. They don’t learn to seek joy; they learn to experience joy. Compare this to the many teenagers who spend most of their time bored and seeking out stimulation and excitement. They don’t have joy so they believe that they need to seek excitement or connection. They seek out dangerous activities or risky behaviors to have an experience of joy. Their daredevil behavior or chemical abuse provides a short buzz, then boredom returns. What stories do they have to share? Daredevils always have the “you’ll never believe what we did” story. Chemical abusers only have “we were so wasted” stories. Scouts have stories like, “On our fifth day in the Boundary Waters, the rain set in, so we heard thunder. We quickly paddle for shore. As we sat on shore in raingear, we told stupid stories and laughed the hardest we had the whole trip.” (Ask my son about it. It is amazing how waiting on shore can lead to such involved stories.) At the end of the stories, though is an accomplishment: they paddle 50 miles for a week under some rough weather. That lesson is more than a momentary daredevil fix. It is a lesson in finding joy where suffering is possible. On another canoeing trip, I saw an adult upset that the group was not doing what he wanted. He became resentful. He spent the next day pouting, complaining, and seeking to make everyone else suffer. The rest of the group ignored his antics and kept laughing. That is Peterson’s lesson on suffering. Spreading suffering is an individual choice that has a significant impact on the individuals around you. A scout learns in the wilderness how to cope with rough situations or dramatic personalities that have the potential to spread suffering. If he can cope with suffering, he is more likely to find joy. You don’t have to see the world like Kirkegaard in finding God through the suffering and mysteries of life to see the value of using a campout to find joy amidst the suffering of inclement weather. Don’t treat bad weather as an excuse not to camp. Use bad weather as opportunity to accelerate the citizenship and character building opportunities that are unique to scouting. 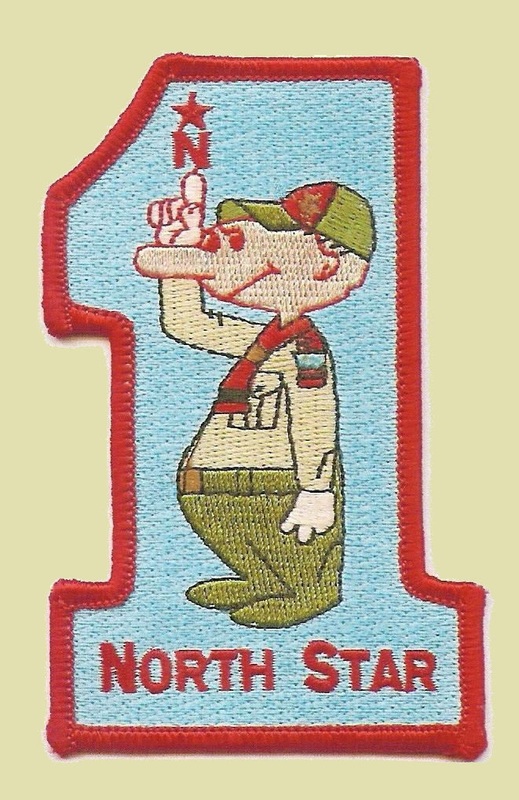 Your scouts will grow. Your unit will grow. 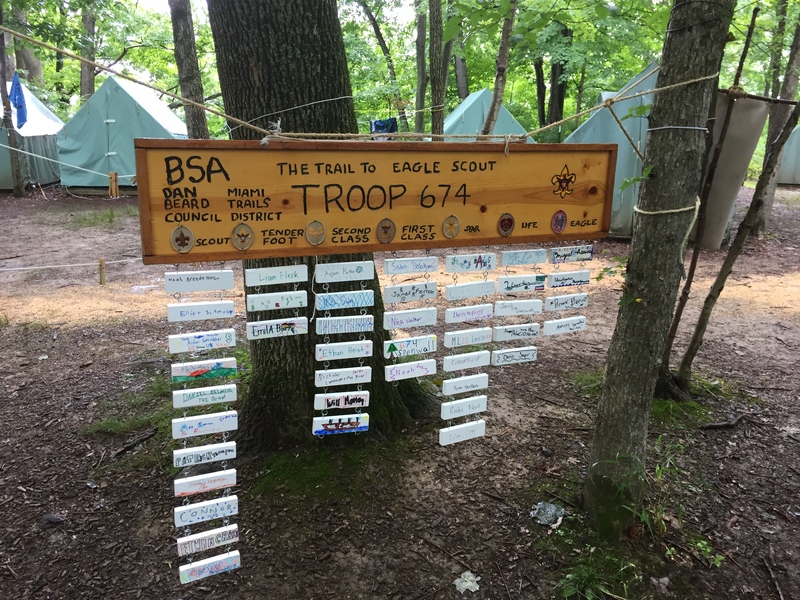 This entry was posted in Boy Scout, Camping & Outdoor Programming, Character Building, Cub Scouts, High Adventure, News, Scoutmaster's Minute, Venturing, Why scouting?.